This is a guest post by Victoria Vlad from BudgetStories.md. Today Expert-Grup, an independent think tank based in Chișinău, Moldova, launched BudgetStories.md. BudgetStories.md is an open budget website, which includes infographics, budget data visualizations and analysis of the use of public money in Moldova across sectors such as: the public administration, agriculture, education and health. In recent years Moldovan government has become more transparent regarding budget data as well as other types of data. The Ministry of Finance used the World Bank’s BOOST tool, to release detailed and disaggregated data on public expenditures. Since mid 2012, we’ve however worked to make sense and meaning in the huge sets of data. In November 2012, while finalizing the project concept, members of the organising team took part in the Balkan Budget Workshop organised by the OpenSpending team. We decided to use OpenSpending as a tool for visualizing Moldova’s 2013 budget.  Until now civil society (NGOs, journalists and universities) has shown little knowledge or interest in the existence of open data. Our target groups are mainly journalists and policy makers, who will now with this site for the first time have access to “cleaned data sets”. We are therefore hoping that they will republish and reuse the analysis and visualizations, which could trigger increased public attention to inefficiencies identified in government spending. Also, we’d like to expand the network of stakeholders who use the budget data and disseminate information about how the Government of Moldova spends public money. It is our hope that this project will create a better understanding among citizens and active members of the society about the way the public finance system operates and the way it influences their everyday lives. If we could reach such increased understanding this could ultimately lead to greater contributions from society to the budget process and more efficient spending of public money. In the future we plan to add interactive modules such as a real time budget calendar and a tax calculator. You can find out more information about BudgetStories.md on Facebook and Twitter. BudgetStories.md is supported by Soros Foundation Moldova and Open Society Foundations.